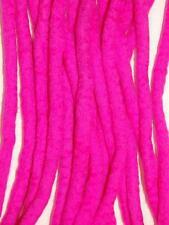 CERISE PINK DREADLOCKS. Lovely and soft handmade dreads. Individual dreads are approx 39"(1mtr) long and 0.75cm to 1cm wide. Silky twist textured dreadlocks Synthetic dreads. cyber goth hair. SE & DE! 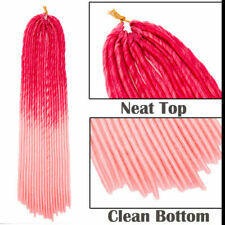 Blonde & Pink Synthetic Dreadlocks Extensions, 20 Inches, Double & Single Ended. Wool roving dreadlocks lot DE dreads. cyber goth Various single colours&lengths! PINK DREADLOCKS. Lovely and soft handmade dreads. Individual dreads are approx 39"(1mtr) long and 0.75cm to 1cm wide. CHERRY RED AND ORCHID PINK DREADLOCKS. Lovely and soft handmade dreads. Individual dreads are approx 39"(1mtr) long and 0.75cm to 1cm wide. 6 Cherry red dreads. 6 Orchid pink dreads. 2 Candycane effect dreads. Hair type/material: Synthetic (Kanekalon fibre).  Colour: Candy-floss Pink. Colour style: Single colour. Purple & Pink Synthetic Dreadlocks Extensions, 20 Inches Single or Double Ended. Lovely and soft handmade dreads. Individual dreads are approx 39"(1mtr) long and 0.75cm to 1cm wide. RED AND PINK DREADLOCKS. Lovely and soft handmade dreads. Individual dreads are approx 38" long and 3/4cm to 1cm wide. 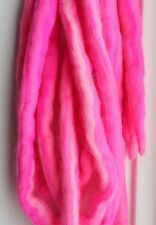 ORCHID PINK DREADLOCKS. Lovely and soft handmade dreads. Individual dreads are approx 39"(1mtr) long and 0.75cm to 1cm wide. BLONDE AND CYBER PINK TAPERED DREADS. LOVELY SOFT AND LIGHT HAND MADE DREADS. THERE ARE 16 DREADS IN THIS SET. THE MAIN DREAD BODY IS BLONDE WITH CYPER PINK TAPERS. WHEN BRAIDED INTO HAIR WILL PRODUCE A DOUBLE FALL OF APPROX 19". ORCHID PINK AND BLONDE DREADLOCKS. Lovely and soft handmade dreads. Individual dreads are approx 39"(1mtr) long and 0.75cm to 1cm wide. Ombre Crochet Dreadlocks in Brown & Pink, 20 Inches, Double & Single Ended.